Alter The Press! 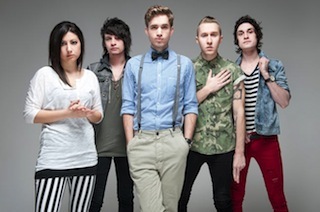 : The Summer Set Cover Coldplay's "Yellow"
The Summer Set Cover Coldplay's "Yellow"
The Summer Set treated fans at their recent show in London, England to a cover of Coldplay's "Yellow." You can watch a fan-shot recording of the band's performance below.